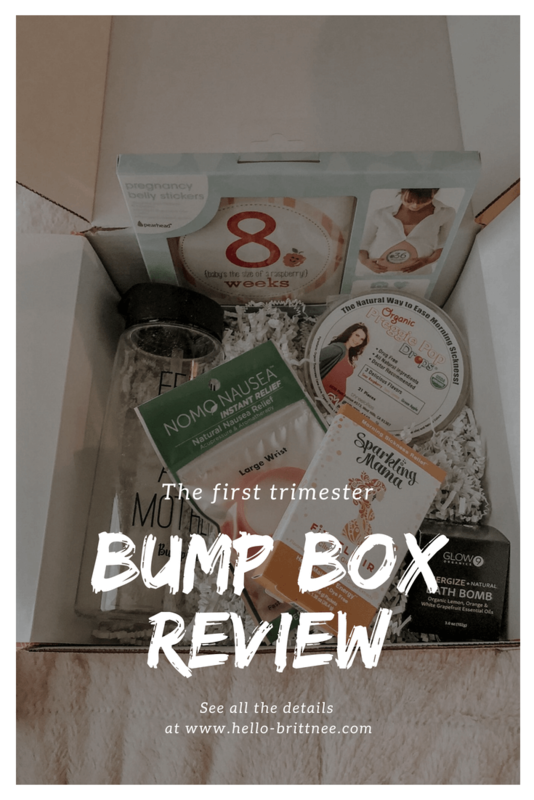 I would not have gotten through my first trimester without my Bump Box and all that came in it. And, I was lucky enough to have a wonderful mom who sent this to me as a surprise. I had no idea what or who it was from until I found the card that came with it. Chase was looking to get me one, too. Great minds think alike. Anyways, I love the concept of Bump Box. They are definitely onto something with this idea. I feel like subscription boxes are so cool — I have subscribed to Barkbox and Birchbox in the past, so I knew there would be a variety of goodies to come when it came to this box. The cool thing about Bump Box is that they focus on trimesters, so you don’t have to worry about being charged monthly for a box. 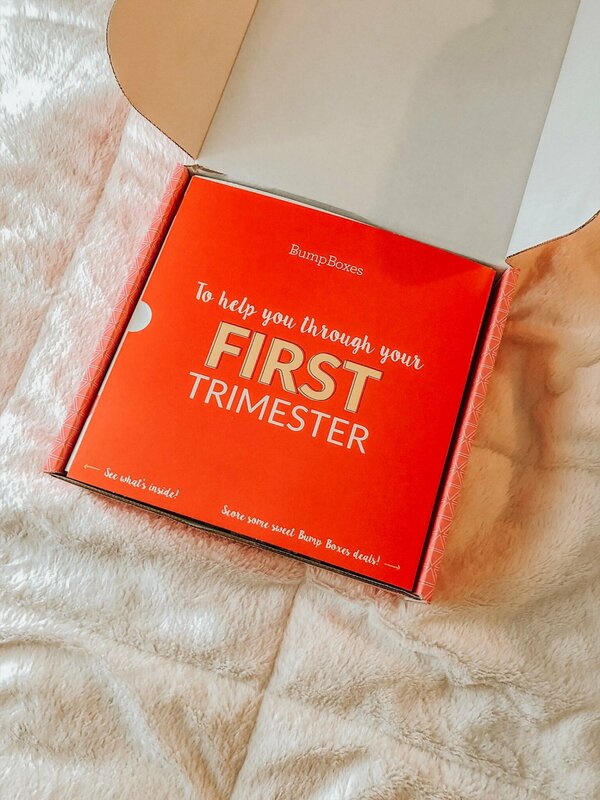 They’re delivered on a cadence of your trimesters, so there are four boxes: first trimester, second trimester, third trimester, and fourth trimester. 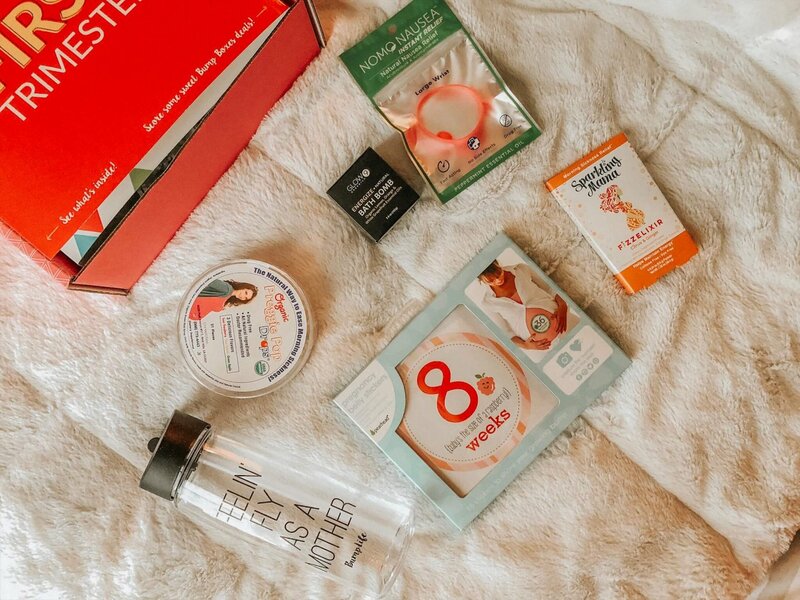 Each box has things that will benefit you for the point of your pregnancy that you are in. You can get a monthly subscription; I do want to throw that out there. And, you can buy one-trimester box, the one you think you’ll need it the most. What is in the Bump Box? I’m pretty sure the boxes vary depending on gift boxes or subscriptions and aren’t the same, so I can’t say that what came in mine will arrive in your box. I am sure that you can count on some goodies, though. 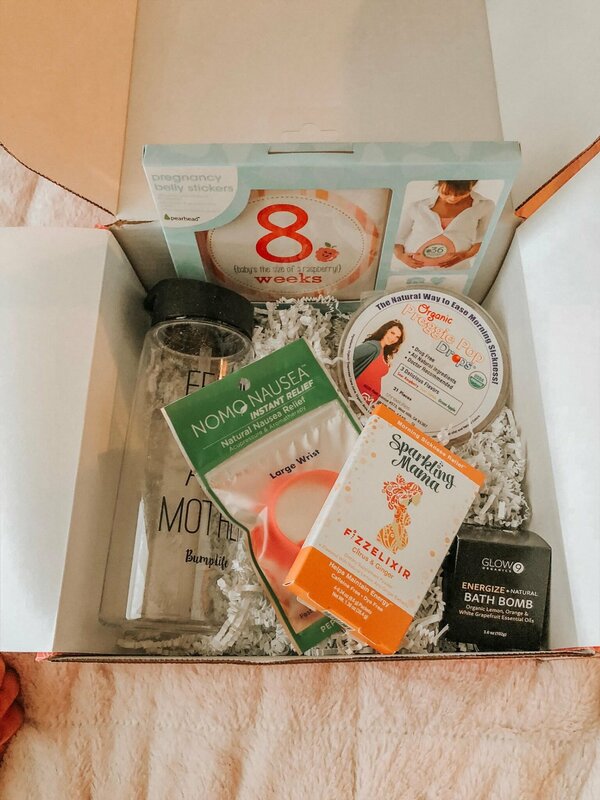 The box focuses on your trimester which is great because the products are related to what you are going through during that period. I received the first-trimester box which focuses on nausea/morning sickness and the start of pregnancy. These helped me out so much! If there is anything you should purchase in your first trimester, it is Preggie Pops. What do they do? They help out when it comes to nausea. Any time that I felt sick at work, I would pop one in my mouth and relief would wash over me. They have ginger in them which I think is helpful as that is something many websites talk about incorporating in your life when dealing with nausea and morning sickness. Preggie Pops come n a range of flavors which gave me time to sort through the ones I would like and didn’t want. The flavors I loved were Lemon, Green Apple, and Rasberry. Each pop did their job, I would pop one whenever I felt sick, and I will say my morning sickness was limited. Everyone is different, so my experience might not be your experience. I love this water bottle — I was starting to get tired of my old water bottle, so Bump Box came right on time for me. This bottle is pretty simple, and I shouldn’t have to explain much about it. It’s easy to take to different places; very convenient and grab on the go. I enjoy the fact that there’s a loop at the top to carry it. So I don’t get my hands wet when it sweats. The words have not come off which is a plus. I know some bottles lose their wording and that has not happened with this bottle. 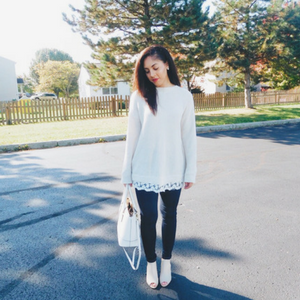 Bump Box jumped on this everlasting trend, and it’s cute. You don’t have to go out for stomach stickers when you have them sent to you, and they have the size of the baby included on them. I love them and enjoy that they came in the box because I wanted to be all fancy with my bump announcements but pregnancy is tiring, and it makes you lazy from time to time. These stickers have saved me a lot of time and chalk. There are even stickers for when you want to reveal the gender which I found cute because you can easily do a gender reveal and use the sticker after the fact. Everyone loves bath bombs, am I right? Unless you’re allergic but other than that, they are lovely and relaxing. They fulfill their purpose when you want to take a nice bath. I’m a bath bomb lover and have shopped at Lush quite a few times for their bath bombs. The bath bomb isn’t from Lush, and that’s not my focus. This bath bomb energizes you, and that’s important during the first trimester. I can’t even explain how tired I was during the beginning of my pregnancy. I would take naps after work and on the weekends by midday. So, I needed something to help me stay energized, and this helped. Plus, it’s organic so you won’t have to worry about anything harming the baby. You can barely keep anything down at the beginning of your pregnancy, so that’s where this lovely drink comes in. Yes, you add it to your water, and it’s like your soda minus the caffeine and all the other junk. I’m not a soda hater, by the way. Sprite and Root Beer have been my saving graces, but the sugar contents are wild. Sparkling Mama gives me some peace of mind because I know my teeth aren’t going to hate me when I go back to the dentist like they would with soda. Last but not least, the best part of my box was the Nomo Nausea bracelet. When I tell you that this is amazing, I am not lying. Any time that I felt nauseous, Chase or my parents would demand I sniff the bracelet. There is a peppermint aroma to it, and that helps out with nausea. This bracelet went everywhere that I went. I still have it, just in case, nausea wants to pop up again. I recommend this out of everything in the box. It was the most useful for me, and I wore the heck out of it. Would I recommend Bump Box? As a gift. I think it was a great surprise to get and I did not mind all the goodies that I’m blessed with. I didn’t know about this box beforehand so I can’t say I would have recommended it eight months ago. Now, I would recommend it to anyone that is dealing with their first pregnancy and doesn’t know what products to invest in. It’s nice to have something crafted for you so that you don’t have to run to the store and try out all new things. In the future, I would gift this to friends if I know about their pregnancy. The Bump Box for me was a gift, not the entire subscription. I think if you want to go for the subscription, you should. I’m the person that doesn’t always stick to subscriptions, so the trimester boxes work best for me. Thanks again, mom! Have you heard of Bump Box? What are your thoughts?